Welcome, one and all, to the RPG Olympics. We, Gods and Goddesses of great Olympus, have deigned to honor you with our presence for the duration of the Summer period. During the course of the next two months, members of the Collective will be divided between two teams and pitted against one another in feats of strength, dexterity, stamina, agility and general prowess. Those of you who distinguish yourselves in the eyes of the Gods stand to benefit greatly; our champions will be showered with accolades, gifts, renown and, perhaps in a few cases, we may even be tempted to allow you to join our ranks for a period of time. Each and every entrant into any Olympic event will be awarded the title of 'Olympian' to be worn proudly until mid-September. Every contest champion will receive a 'Gold Medalist' title and the first two runners up will receive 'Silver' and 'Bronze' titles respectively. Depending on the event in question, and the perceived difficulty of each challenge, there will also be additional, individual boons and favours available for the taking. This is not just an individual event however -- oh no. You will not only be carrying the weight of your own honor or reputation upon your shoulders. Each of you will become a part of either Team Poseidon or Team Zeus, and will be fighting not only for yourself but for your team with every event you enter. In order to be drafted into a team, please visit the Olympic Sign Up sheet. If you enter a contest without officially signing up, you will be automatically drafted into whichever team currently has the fewest participating members. 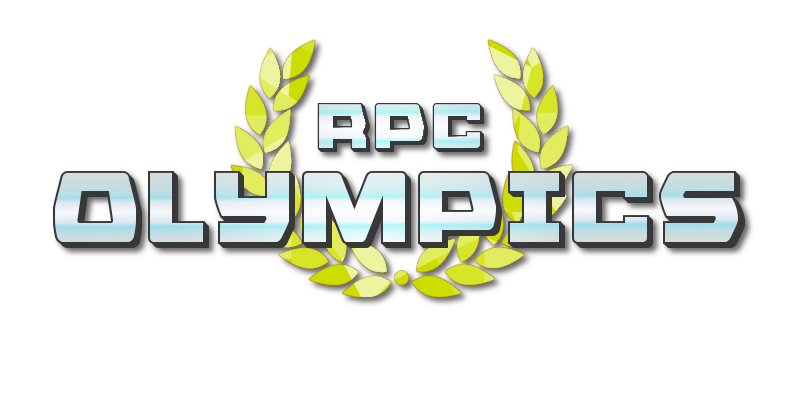 On behalf of Zeus and Poseidon, your mighty team patrons, I do declare the 2018 RPC Olympic Games officially open. Some of you may well remember our last RPC Olympics. This year, we decided to really step things up a gear by running a series of contests that will be occuring parallel to the IC goings on in The Sanctum. If you do not have a persona or otherwise are not interested in the IC side of things, you are still more than welcome to participate in any or all of our contests, though any medals you earn will still have in-character implications. The Traveller's Guide to the Multiverse - Explanations of The Ark, The Sanctum, The Collective and what a persona is. The Help Console - This thread does not get much use but I promise the staff do keep an eye on it. Your one-stop shop for any questions you might have. Discord RP Chat - If you're looking for speedy answers, there's almost always someone lurking on Discord who will be able to help you with basic questions. You can also always get in touch with any member of staff who will be happy to assist. Just a reminder that the first contest starts tomorrow! Word Sprint #1 closes tomorrow. I've tagged everyone who hasn't yet entered as a head's up. Could really do with another judge (or two) for the Haiku contest so if you’re a very helpful neutral party, please drop me a PM here or on Discord!